WhatsApp is the modern day messaging app employed by a number of users all over the world. But, the recent scandals related to user privacy and data security has led users to mull over downloading various apps. 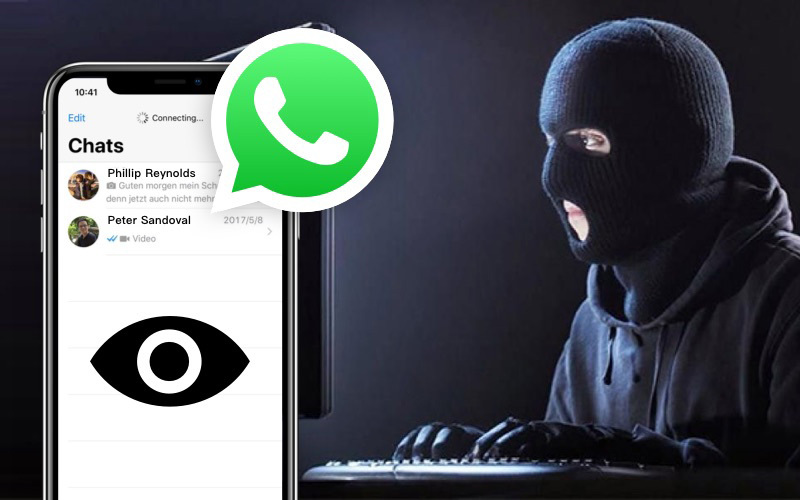 Also, rising cases of data theft and cyber-attacks have led the users to have second thoughts regarding the usage of various apps including WhatsApp. Since a majority of users for WhatsApp are teenagers, parents are worried about the safety of their kids. And hence, the need for a WhatsApp tracker is experienced firmly. In order to make your job simpler, today we will help you in selecting WhatsApp tracker app. We will be showing a number of apps that are capable of monitoring WhatsApp. Let us have a look the selected WhatsApp message tracker. FlexiSPY is a powerful tool that can be used as a WhatsApp location tracker. The app is capable of recording the activity on the handset and transmits a live feed of those activities. Apart from this, it can also track various including WhatsApp. Hence, you can track WhatsApp user using this app. The app supports various platforms including iOS, Android, Window, and many more. You can obtain the service from this app at a price of 9. Being the leading spying tool in the industry, mSpy allows you to monitor a smartphone in and out. It allows you to keep an eye on phone calls in addition to GPS tracking. It also monitors apps such as WhatsApp, Skype, Facebook, and internet browsing history. The app keeps an eye on smartphone user's activities and sends alerts to the owner of the mSpy account. The app comes with an introductory price tag of and can go up to 0. In addition to all this, the service is available for iOS, Android, Window, and Mac operating system. Spyera consists all the features that must be present in an ideal spying software. Hence, it is steadily grabbing a huge piece of the market. Apart from all the basic spying functions, it also has the ability of track WhatsApp account on the smartphone. Presently, with a cost of 9 for 3 months, the software is available for iOS and Android platform. Particularly developed for iOS and Android, Highster Mobile transports all the monitoring logs straightly to the online account of the owner. This gives a nonstop update of the user activity to the owner. It is also plays a role of "WhatsApp tracker free" in its demo version. Besides this, it monitors messages, call logs, and various data. Its premium version has a price tag of .99. Specially designed to keep an eye on WhatsApp account in somebody else's phone, iSpyoo is highly recommended if you need to track WhatsApp. In short it plays role of location tracker for WhatsApp. It also allows you to see onscreen screen activity of the user in real time. The app has price tag of .99, .99, and .99 for standard, premium, and gold version and is available for various platforms including Android and iOS. Well recognized for providing the exact information needed, SpyBubble is also recommended for you. Its features such as monitoring calls, SMS logging, GPS tracking, and the recently implemented WhatsApp monitoring makes it qualified to make a spot in this list. The service is available for Android as well as iOS platform for a price tag of $ 49.95 for standard version and .90 for pro version. Copy9, similar to other spying tools, serves its purpose. It gathers complete call records, phone data, app (WhatsApp) data, and messages so as to send to the owner's account. With a price tag of .30, .90, and .50 for standard, premium, and gold version monthly, the app is available for various platforms including Android and iOS. Mobile Spy provides basic functions of monitoring making it easy to track WhatsApp on somebody's device. It monitors the WhatsApp activities, creates a log, and sends it to the online account of the owner. The service of this app is available for a price tag of %99.97 for a timeframe of 9 months. It shows support for iOS, Android, as well as for BlackBerry. Detailed monitoring of WhatsApp chats is conducted by TheTruthSpy, and hence it is referred as WhatsApp online history tracker. And hence, it is perfect for you if you need to monitor WhatsApp. The app is available at .99, .99, and .99 for standard, premium, and gold version on a monthly basis. In this swift world, if you need your iPhone to run fast, then it is necessary to free some space by cleaning your iPhone. At such times, you can always use free Tenorshare iCareFone Cleaner. 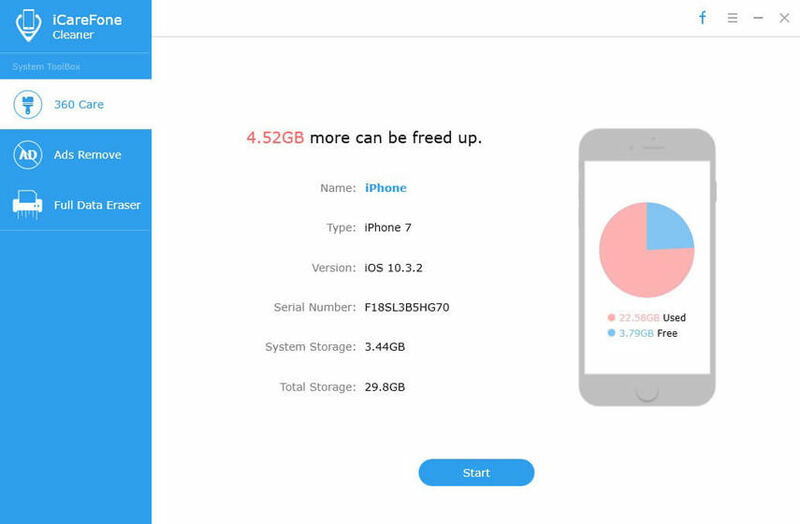 This tool is used to clean your iPhone by removing junk data, thereby freeing up some space. It is also used to keep your iPhone safe by removing unwanted data. Cutting to the chase, we just had a look on the top apps that can be used to track your WhatsApp account. In addition to this, you can also use Tenorshare Free iCareFone Cleaner to clean your iPhone and to keep it safe. Were you expecting any other app in the list? Then let us know by commenting below.